Having invented the chocolate truffle in Chambéry in France in 1895, Antoine Dufour moved to London and established the first Prestat shop in 1902. The company has a reputation for its popularity with the theatrical clientele and it has also received Royal Warrants as purveyors of chocolates to Queen Elizabeth II and to Queen Elizabeth The Queen Mother. 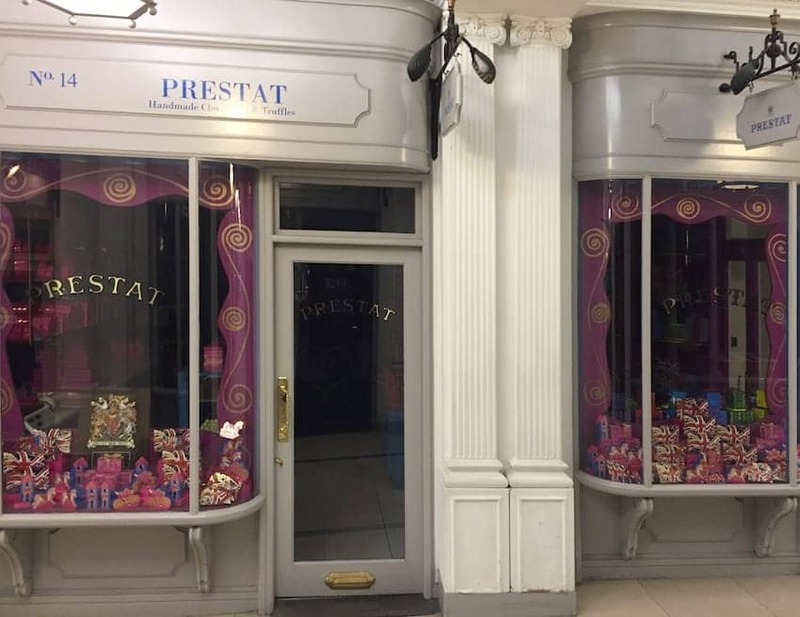 Prestat's store is at Princes Arcade, Piccadilly where it has been since the 1980s. It has a reputation for creating striking packaging designs and Lulu Guinness even designed a limited edition handbag in the design of the Prestat shop.